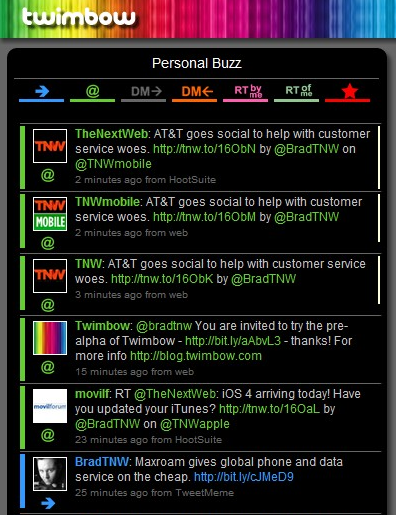 Why Twimbow just became my favorite Twitter client on the web. My Twitter stream is noisy. Really, really noisy. It’s not so much that I follow a lot of people, it’s more that I have a lot of interaction. When I’m at home, I use TweetDeck to keep up, but when I’m not at my own computer, I don’t have that option. 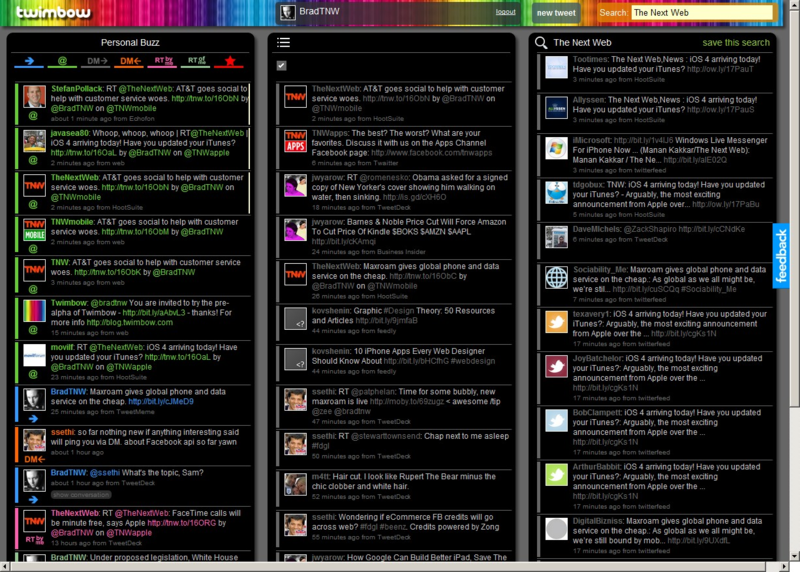 Twimbow just made my life a lot easier, and a bit more colorful to boot. 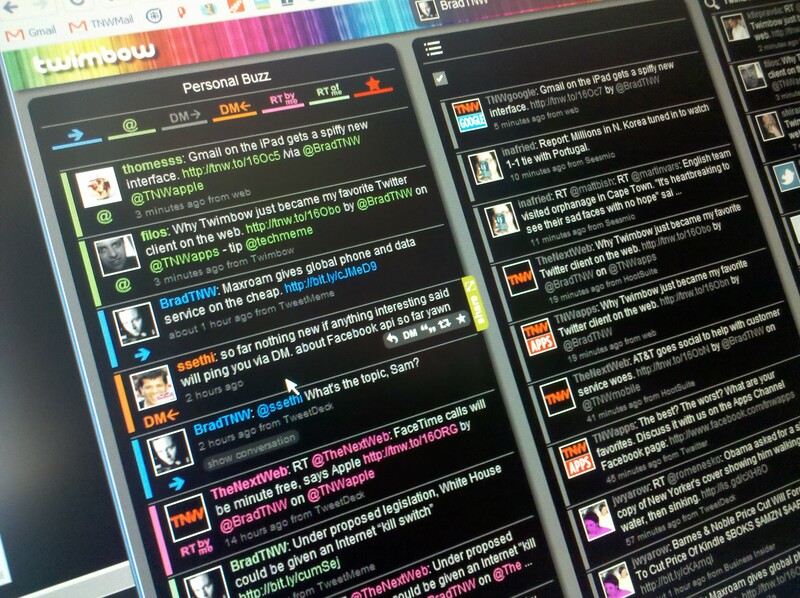 Twimbow is a web-based Twitter application that takes your stream, color codes it and lets you customize things to your liking. It’s powered by OAuth, so logging in is seemless. The default color pallet is good, but options abound. Each type of message is given a color, so that you can quickly view your integrated timeline and pick out what’s important to you. Your main feed is called “Personal Buzz”, and will show you ReTweets of your messages, as well as DM’s and replies. From each message, you’re given a wealth of options on mouse over. As you’d expect, you can reply, DM and rewteet, but the extra features are what really catch my attention. Twimbow takes your Twitter interaction a step further by providing an awesome interface to quote, add to favorites and even share via other platforms. 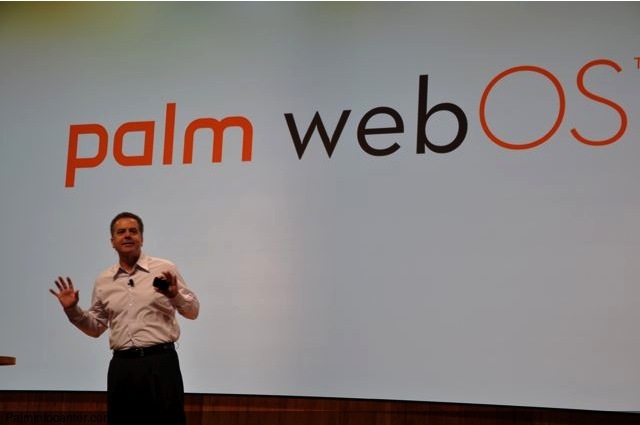 At the moment, only sharing by email is allowed, but Facebook and Google Buzz implementation is just around the corner. Skipping to the middle column will show you your feed just as it appears on the Twitter site, and allows the same interactive options. The far right column is reserved for a real-time search, and again you’re given options aplenty. For now, Twimbow is in a pre-alpha, but you can head to the site and try to snag an invite for yourself. Take a look at the screenshot below, and you’ll see why it’s not just handy, but might actually change the way that you use Twitter on the whole.